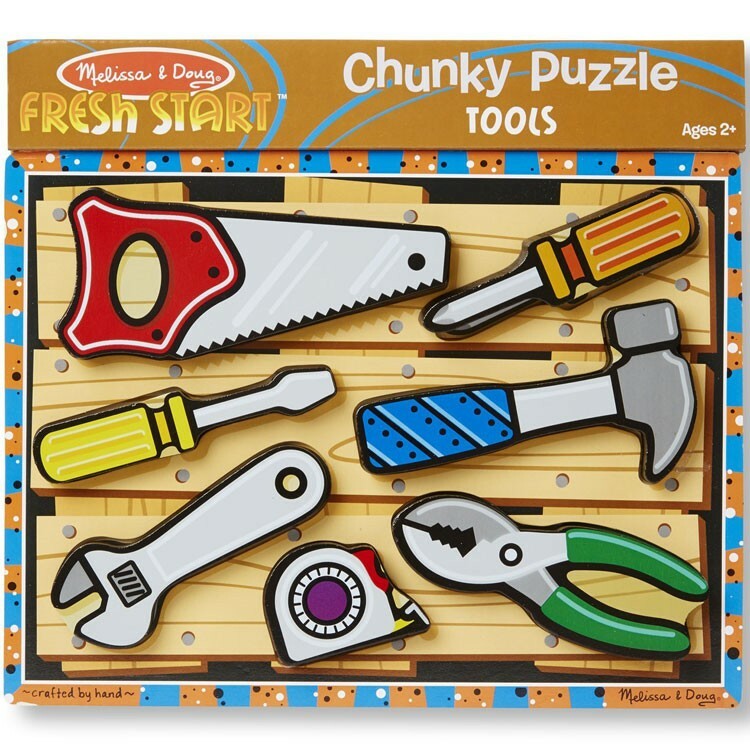 Place each of the 7 chunky wooden tool pieces on top of the proper illustrations underneath as you put this Melissa & Doug's Tools Chunky Puzzle together. 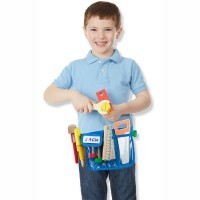 Calling all little handy workers! 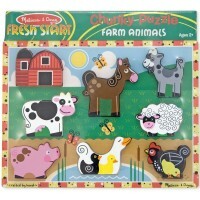 Melissa & Doug, an award winning toy company, offers a colorful, exciting wooden puzzle toddlers of all ages love playing with. 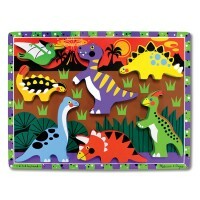 Offered by Educational Toys Planet this Tools Chunky Wooden Puzzle features the safest design and playful, hand-painted illustrations. 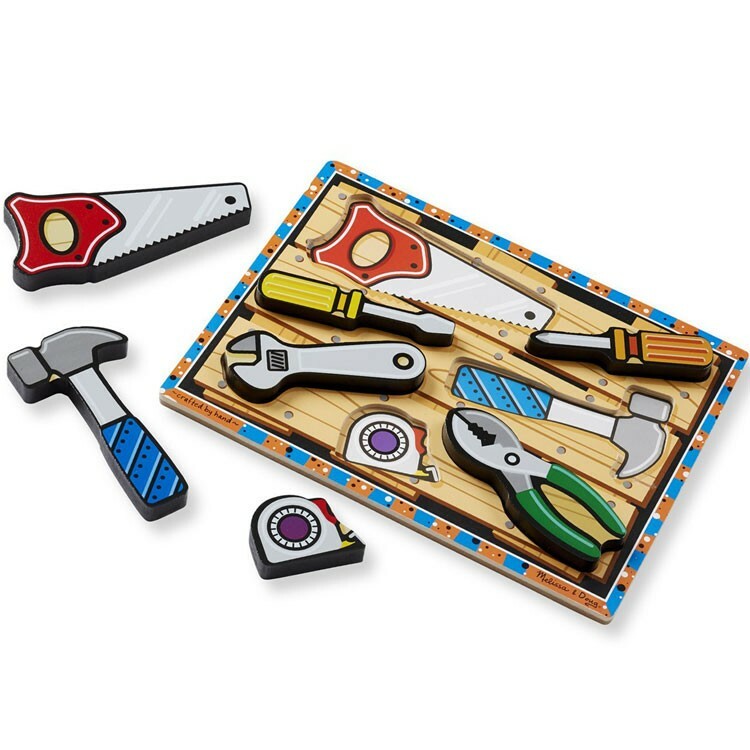 Place each of the seven chunky wooden tool pieces on top of the proper illustrations underneath. 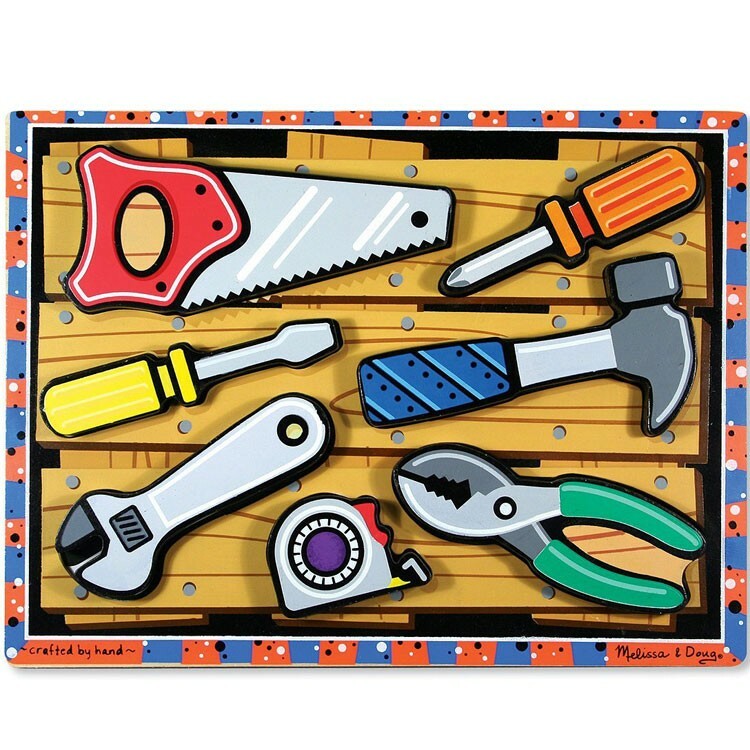 You can even stand up the durable board for more handyman pretend play with this Tools Chunky Wooden Puzzle. 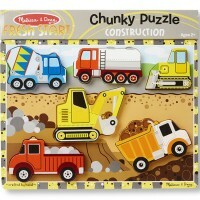 Children will develop fine motor skills and problem solving - and construct an afternoon of fun! 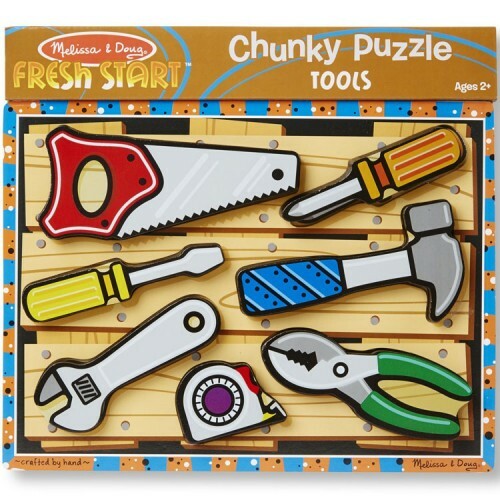 Dimensions of package 1" x 12" x 11"
Write your own review of Tools Chunky Wooden Puzzle. 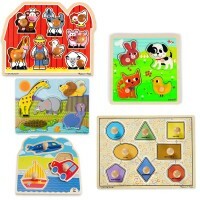 Rating: 5 Educational fun by Jessica G Most people don't have any idea how truly educational and important for child development that puzzles can be. 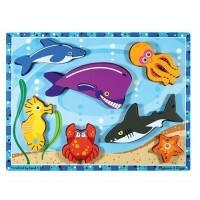 They encourage spatial skills, problem solving skills and other cognitive skills. 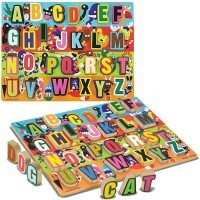 They can also be used for vocabulary skills and even color recognition and one to one correspondence. They are truly ideal learning toys. 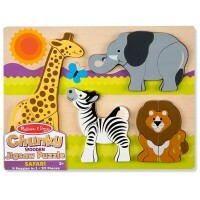 Rating: 5 by Mom of 1 & Grandma of 1, WA Bought for my 2 year old Grandson and he really enjoys playing with them. Rating: 5 by Scottish buyer, CA This is perfect for my 2 year old grandson with Downs', he loves it!